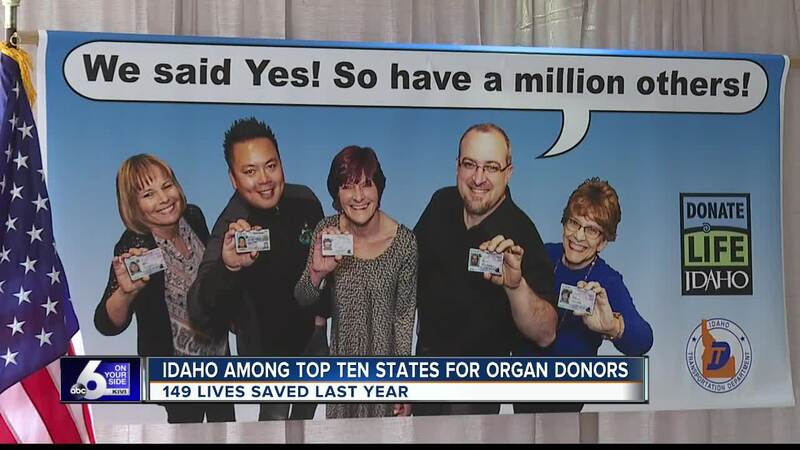 Nearly 150 lives were saved in Idaho alone thanks to organ donors. A strong alliance between the Idaho Donor Registry and the Idaho Transportation Department makes that possible. The numbers put Idaho in the top seven states for the percentage of people checking the box at the DMV to be an organ donor. "Idaho now has over a million registered donors on their drivers license, which is amazing, and that puts Idaho in the top ten states in the nation percentage wise for donors, which is really amazing," said Alex McDonald, Intermountain Donor Services. "It says a lot of the giving nature of the people of Idaho." Nearly 114,000 people are still on the national organ transplant list.